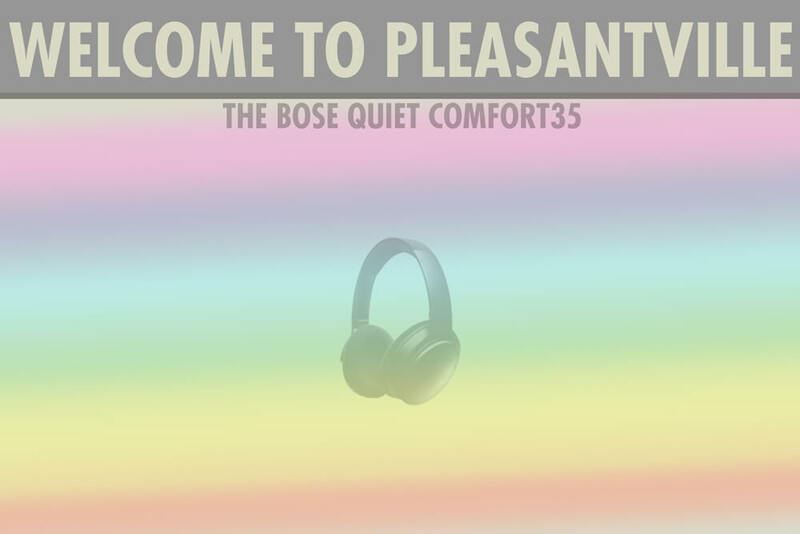 HomeBeats & Bose Headphone Reviews and ComparisonsBose Quiet Comfort 35 Review | THE PLEASANT HOMEY! Bose Quiet Comfort 35 Review | THE PLEASANT HOMEY! Before we get into the Bose Quiet Comfort 35 Review, grab a snack, sit back and relax because.. Battery Life: 20 hours via USB. If I could use an analogy, the Bose Quiet Comfort 35’s are like that low key girl that you knew in grade school. She was really sweet, innocent, very smart, and just sort of pleasant. You know who I’m talking about. She was quiet, but very warm and friendly. This is how I would describe the QC35’s. They’re just balanced and pleasant sounding. They’re not going to blow you away, but rather they will present the music in an honest and straightforward way. The build is pretty good here. I’m not overly ecstatic about it, but it gets the job done. The headphones themselves don’t feel like they’re going to break easily, but also don’t feel durable enough to make me want to toss them around or generally be rough with them. It’s somewhere in the middle. Also the Bluetooth switch is a bit odd; it doesn’t click when you move it to the right or left. It just kind of settles into this weird spot but isn’t really in a fixed position. When you flick it right or left, there’s a green or red indicator letting you know whether it’s on or off. The comfort of these is unreal. With Bose you kind of expect them to be out of this world comfy, and they are. It doesn’t really even feel like there’s anything on your head. They also didn’t move around on me at all, and the clamp is just right. Sound wise, like I said these are very balanced and friendly. They have a nice fast quality about them, and aren’t harsh at all. I could probably wear these all day long and never tire of the sound. It’s pretty detailed, but does fall short of my highest expectations, especially for teh price. For instance, I’ve heard cheaper audiophile headphones that provide more clarity and subtle detail, to the point where you’re tempted to go back and listen to all of your old music. I just don’t quite get that feeling with the QC35, though I do like the sound a lot. Non fatiguing, a very relaxing listen. Not sibilant. What does Sibilant mean? Compact, lightweight, and durable. These don’t feel overly cheap or flimsy. They are made of plastic, but it seems like it would hold up over time. Great battery life. Around 20 hours but I’ve heard as high as 24. No clamp force, extremely comfortable. I cannot see myself having to take these off at all. A bit overpriced. The sound is good, but doesn’t quite justify the price tag in my opinion. They don’t sound quite as good wired. You’re not going to need an amp with these. They’re meant for mobile devices and on the go scenarios. How to choose a headphone amp! These are very versatile and work well with a lot of genres. On planes. They’re particularly good for reducing airplane fatigue. Because our bodies don’t like engine rumble and perceive it as a threat, we tend to get worn down after long flights. The QC35’s are perfect for eliminating this problem, enabling us to feel refreshed after getting off of the plane. Anyone who needs a noise cancelling homie. How do noise cancelling headphones work? They pretty much completely eliminate outside noise with the NC feature. As soon as I put them on, I got this weird vacuum sensation and surrounding sound dissipated. I had read that for some this can be a bit unnerving and uncomfortable, but for me it wasn’t. Apparently Active Noise Cancellation was invented by Bose. There are small microphones inside the headphones that listen for noise and then eliminate it, leaving you with that vacuum sensation that I talked about. They work with any device that supports Bluetooth. I was able to use them with my Android. They take around 2 hours to fully charge from a dead state. Accessories include: Headphones, Hard zippered case, 1-foot (30cm) USB cable, but no USB wall-power adapter, 4-foot straight audio cable (2.5mm plug for headphones and 3.5mm plug for your player), Airplane dual-plug adapter, and two different multi language instruction sheets to cover different languages. The sound on these is good, but I noticed some slight fuzzy distortion on certain songs. This could have simply been a matter of the source file though. The ear-cups on these fold in, allowing you to lay them flat. Other than that, the range of motion is a bit limited, although it’s not really a complaint of mine. The ones I listened with had a bit of trouble staying paired with my Android phone. Just something to keep in mind. The USB charging chord allows you to charge these instead of having to replace an internal AAA battery. A definite upgrade from the QC25. The Noise Cancellation doesn’t work in wired mode when the battery is dead. The headphone jack is a 2.5mm instead of the standard 3.5. Instead of track skipping buttons, you to push the play button twice or more to move on to the next song. An extremely comfortable set of headphones with a balanced, non intimidating sound signature. These are the type of headphones that you’ll want to kick back and relax with, as they’re not intense and will not cause fatigue. If you’re in the market for a Noise cancelling pair, and value extreme comfort and good sound, I think these are a viable solution. Are they worth the asking price? Well that’s about it for today my friend! I hope you’ve enjoyed this Bose Quiet Comfort 35 Review. Do these tickle YOUR pickle? Would you invest the QC35? I would love to hear from you. Until next time.. Beats Studio 2.0 Review | BETTER ALTERNATIVES? You gave the QC35 an honest evaluation. I can’t imagine ever putting my pieces away for a day. They have become my regular companion together with my IPOD. Wonder why in this modern day and time I still need an Ipod? Well there are various reason but top of the list is portability and device battery live conservation of my cellular phone. For sure! I mostly just use Spotify now, but I still like to Rip Vinyls and listen to WAV and FLAC files with my HD600. I never thought I would see the day that I would use Spotify, but it’s really convenient and I don’t much care for iTunes or importing songs anymore. It’s become a hassle. We’re so spoiled though! Thanks for the kind words! Let me know if you ever need anything! I read the 35’s have a forward option pushing twice the play button. I have a question: How can I listen to the previous song? I think you quickly press the multi-function button 3 times (The middle button). Let me know if it works!